We read about it every week, “Person Injured in Auto Accident, Police Searching for Red SUV Seen Fleeing Scene of Collision.” It’s called a hit and run and they happen every day in the Denver Metro. The law says when you’re involved in an auto accident you need to stop, exchange information and render aid if necessary, but sometimes people leave the scene of an accident rather than fulfill their legal obligations. There are numerous reasons why: they could be intoxicated; have warrants; be uninsured; or not have a driver’s license. Whatever the reason, these Cowards of the Street (See our Free Book on HIT & RUN) have one thing in common, they don’t want to stay and wait for the police to show up. If the at-fault driver runs after hitting you, who’s going to pay for your injuries? Most people might think their own insurance will help them out but unless you have the right insurance coverage – they won’t. If you don’t have full collision coverage, you’ll be stuck paying for the repairs to your vehicle and if you don’t have medical payments coverage (“Med Pay”) or uninsured/underinsured motorist coverage (“UIM”) you’ll be on your own to cover the cost of your medical care and other losses. It’s another reason why it’s important to have the right insurance coverage. You may not be a bad driver, but there are still plenty of bad drivers out there. What should you do if you’re a victim of a hit and run? First, you’ll want to pull over and gather as much information from the other vehicle while it’s still in sight. The make/model, color, damage to the vehicle, a partial license plate number… it’s all helpful to police and investigators. Then you’ll want to call the police, even if you don’t think you’re seriously injured at the time. The police will create a report and investigate the collision. If you don’t report it, you’ll find yourself in the difficult position of having to prove to your own insurance company how the accident happened. 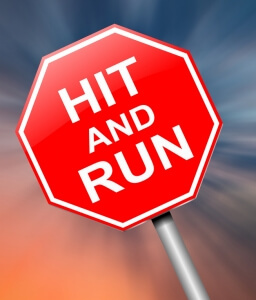 A proactive approach is the best way to protect yourself from a hit and run. Just because you’re innocent doesn’t mean you have to be a victim. For more information about your rights and options following a hit & run or any type of auto crash in Colorado, contact a Denver car accident attorney at Bell & Pollock by calling (303) 795-5900 or by emailing us via the contact form on this page.